STEELHEART – “TANGLED IN REINS” ALBUM FROM 1992 IS A HEAVY METAL GEM! 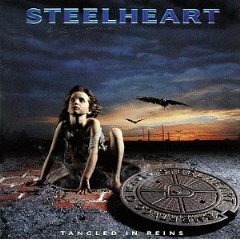 STEELHEART – released Tangled In Reins on July 10, 1992 on MCA Records. 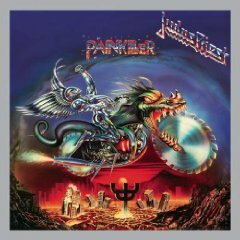 Cutting to the Metal chase here, holy crap, is this a profoundly great Heavy Metal album of 10 songs! In makes absolutely no sense to beat around the Metal bush, when describing my true feelings towards this Steelheart album. Yes, Steelheart back in ’92 can very well be labeled as a Hair Metal band, with Tangled In Reins being called a Hair Metal album. 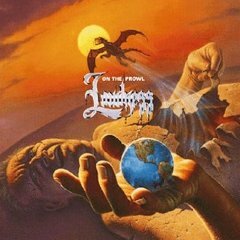 The inner and outer cores of this album cries out just one universal sound and feel for me… Heavy Metal and it is a gem. The all-encompassing power and memorable songs I hear on Tangled In Reins is pretty darn close to Metal sanctity. A Metal truth is that I never owned or listened to this Steelheart album until recently. (The early ’90’s were very lean years for my wallet). 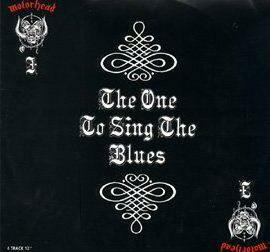 My best Metal buddy Scott Coverdale landed me this CD… along with his enthusiastic Metal accolades of it as well. Thanks Scott, this CD is quite an indulgence. It just seems like the first half of the ’90’s had some real deal Heavy Metal albums released back then, coming across the ones I missed out on years later is better late than Metal never. Metal buddy Scott and I both conclude… Steelheart’s first two albums are just victims to their time period of release. From 1990 onward through that entire decade, Heavy Metal had an upward battle to fight for any mainstream or positive critical attention. As I always say, Heavy Metal never went away back in the ’90’s, it only silently grew stronger. In my most humble Metal opinion, Steelheart knew how power ballads were to be written and played for Heavy Metal. Not to come across as redundant, yet I am the ever fickle – ballad critic. Two ballads exist on Tangled In Reins: All Your Love and Mama Don’t You Cry. I don’t hesitate a micro second to put down Heavy Metal power ballads, from any band… ever. These two Steelheart ballads are creme’ de la creme’ of how I want them to sound and come across. Both ballads burst at the emotional seams, still they are loaded with hard-edged and melodic grooves. Miljenko Matijevic has an uncanny, God-given ability to hit the high notes and does not whine away in stereotypical ballad fashion. Tangled In Reins kicks off with Loaded Mutha and this mutha Rocks with all the delectable, good times heaviness I could ask for. Chris Risola on lead guitar, serves up the licks that makes this song just jump out and come to life. Love ‘Em And I’m Gone lends itself to that carefree, single and party time lifestyle, which has been so well documented in Heavy Metal songs over the decades. This song may not be relevant to me lyrically at my point in life now… still I don’t care, it Rocks! Long live fun Heavy Metal songs! Electric Love Child has a catchy Heavy Metal title and the song itself is even more so. Listening to Electric Love Child makes me appreciate Steelheart as one of the finest and most underrated Heavy Metal bands from the early ’90’s. Steelheart has all their Metal cylinders in sync on not just this song… on the entire album as well. In Metal summation, Steelheart exercises their potent and muscular Metal abilities and skills at a very high level on Tangled In Reins. This Steelheart lineup played like an extremely tight and content unit on this album, giving every indication from the song lyrics to the lively and free spirit feel of the musicianship. Tangled In Reins is just a must listen from the early ’90’s, an album to revisit on a continuous basis. A powerful Heavy Metal album, to simply state: Heavy Metal never sounded so damn good… Tangled In Reins has reined me in for keeps! LONG LIVE MILJENKO MATIJEVIC AND STEELHEART! KING DIAMOND – METAL BLADE TO REISSUE “THE GRAVEYARD” and “THE SPIDER’S LULLABYE” on OCTOBER 13, 2009! King Diamond, the legendary Metal front man for Mercyful Fate and Horror Metal/Heavy Metal icon. King Diamond and his band have left more than a mark on Heavy Metal history, a chunk of Heavy Metal history is King Diamond. On October 13, 2009, the infamous Metal Blade Records will reissue two King Diamond Classics… The Graveyard and The Spider’s Lullabye. Very cool. Just in time for Halloween… very cool again. Both albums have been re-mastered by King Diamond guitarist Andy LaRocque. The Spider’s Lullabye was originally released in 1995, with The Graveyard originally released in 1996. Bonus live bootleg footage will be available for download, for those who purchase either of these two reissues. The bonus footage for download will be these three King Diamond songs: The Spider’s Lullabye, Trick Or Treat and Up From The Grave. Reissue’s are always great, especially when they include new songs and/or videos – downloading the bonus content for these albums is fine with me, especially when King Diamond is looking at giving the fans the highest quality in sound and video. Man, I better start saving up some spare change or my Christmas want list is going to be very long with all of the new Metal CD’s that are coming out next month! 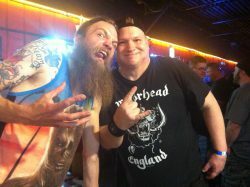 Metal rules. King Diamond is a big reason why. King Diamond is delivering a Happy Halloween to his fans and all fans of Metal on October 13, 2009.